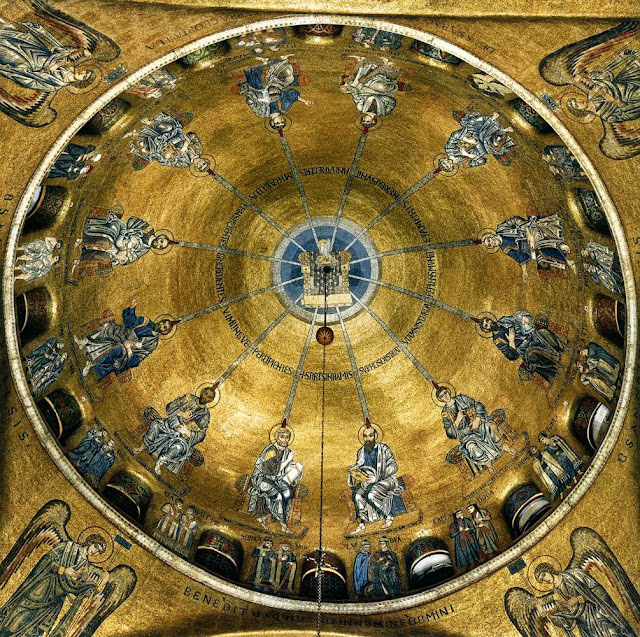 The West Cupola in the Basilica di San Marco in Venice depicts Pentecost (mosaic, 1100CE). Photo from the Web Gallery of Art. Come, Holy Spirit, we pray, and spread your sheltering wings over those who call upon You.